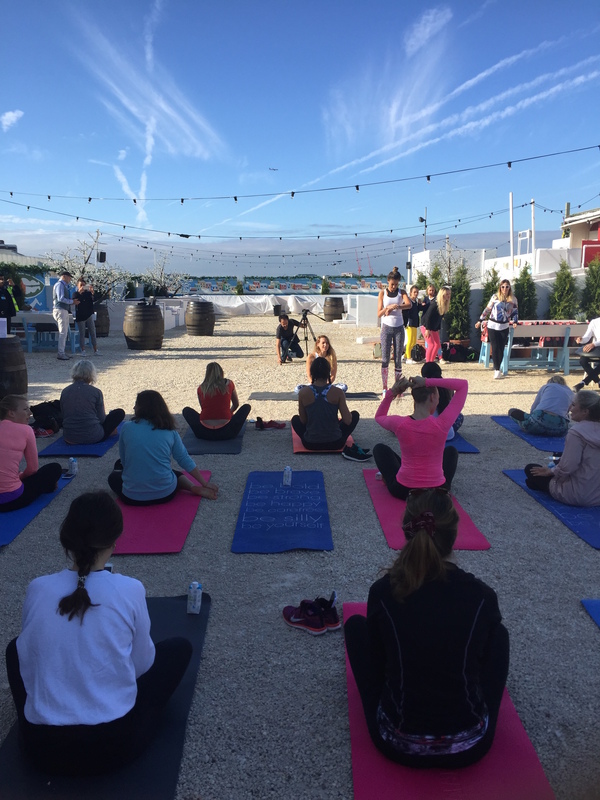 To me there’s nothing better than celebrating fitness of any kind, so when I was invited to a sunrise Yoga session to celebrate International Yoga Day last week (21st June) and to launch brand new health festival Manna I RSVP’d with pleasure. And despite some horrific rain and thunderstorms in the days leading up to it, the skies cleared for our introduction to all things Planet Manna on a West London rooftop. As we made our way to Pergola on the Roof (the top of the old BBC Television Centre in Shepherds Bush, West London) and the sunshine started to break through I knew we were in for a special morning getting a taste of what Planet Manna is all about. Pergola on the Roof was a stunning setting for our 45 minute invigorating Yoga practice led by the beautiful Cat Meffan (who I had the pleasure of meeting and modelling with at the Charli Cohen London Fashion Week show last year) and I’ll most definitely be heading back there to check out the restaurant pop-ups very soon, but on this occasion we were there to start our day with some Yoga, to hear more about Planet Manna’s plans over the coming year and to enjoy a well deserved breakfast in the sunshine. I’ve said it before (and I’ll most definitely say it again) but whenever I do yoga I always think afterwards, “I must do more yoga!” My body always feels more relaxed and leaner and my mind feels calm yet energised after practice, and Cat’s session was no exception. I may not have the most flexible hamstrings or graceful dancers’ pose, but I most definitely enjoy the feeling of being in the moment, appreciating my body and everything it can do and the chance to truly take some time to relax my muscles and my mind. So when Planet Manna told us they were planning on hosting more Yoga pop-ups across London over the Summer to promote their festivals next year I was all ears. Their next “mini Manna Festival” as they call it is Sunday 10th July on the roof of the Lyric Theatre in Hammersmith – maybe I’ll see some of you there? Follow the link above if you’d like to buy tickets to what I know will be a beautiful afternoon. Further events will follow throughout July and August in the lead up to their two big European festivals of Yoga, Health, Food and Fitness next year – one in a beach location and one in a mountain location. Is it wrong that I want to go to both?! Keep an eye on their website or follow them on social media for further details about the festivals as they release them. 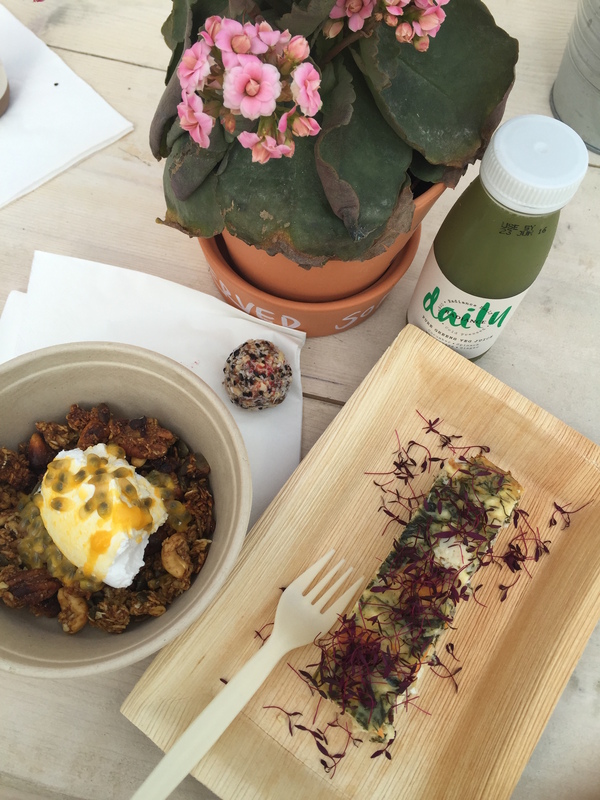 So of course after an uplifting yoga practice, some rehydration from event sponsor Jax Coco the next thing of course had to be breakfast, and we were treated to the most incredible spread from Crucial Cafe and Daily Radiance. I’m not going to lie, it all looked so good I couldn’t make a decision as to what to have…. so I had everything! So all in all I think I marked #InternationalYogaDay in style and am very happy to have been introduced to Planet Manna and their exciting fitness festival plans. Can’t wait to attend more of their beautiful events and this time I promise to myself that I really will do more yoga! 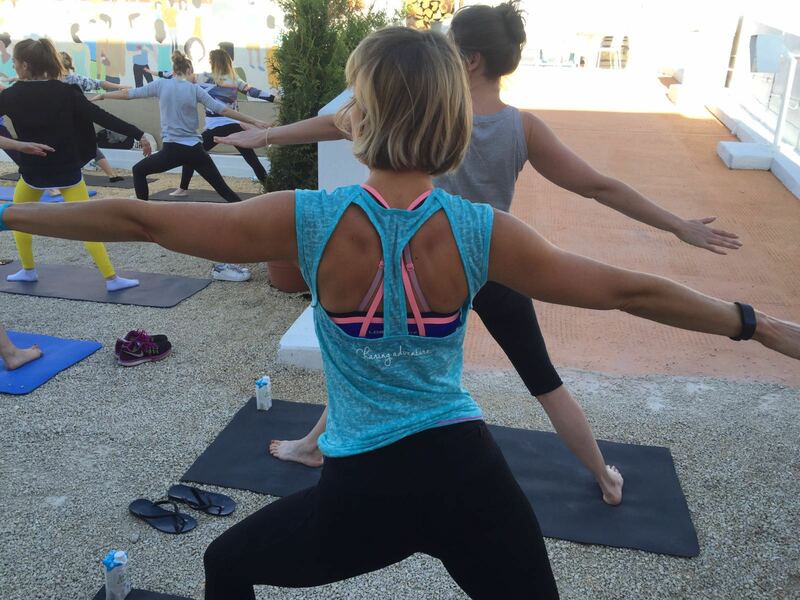 And of course, as below, I’ll be wearing Lorna Jane when I do it…..